LEGO-like part design lets you recreate the NASA spacecraft in Kerbal form or create your own designs. Stand-alone approach minimizes required mods. Textures are shared by several parts to conserve memory. So even if you hide parts in favor of another mod's counterpart, the textures they use are shared by parts that don't overlap. The Spin Hub and Counter Torque Ring require Infernal Robotics. 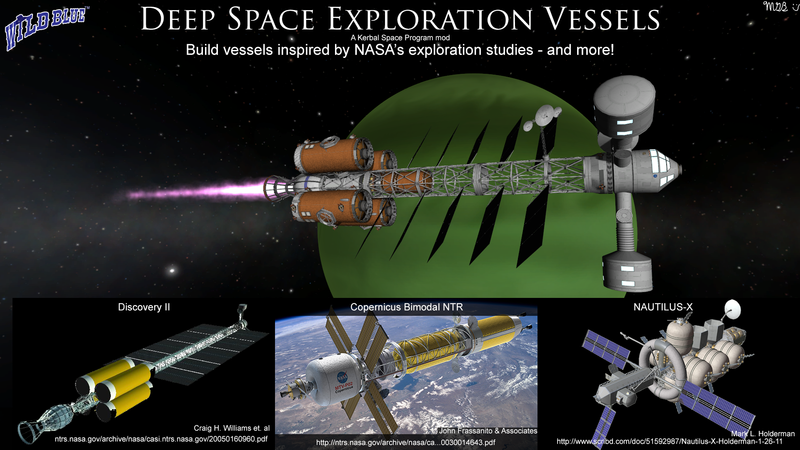 DSEV is a Kerbal Space Program mod by Wild Blue Industries. If you want to boldly go, we'll get you there. Art Assets, including .mu, .mbm, and .dds files are copyright 2014-2018 by Michael Billard, All Rights Reserved. 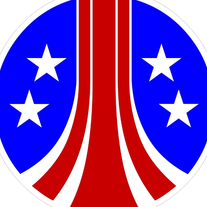 Interstellar Fuel Switch patch - Use this patch if you're having problems with losing your resources and you have IFS installed. I'm really looking forward to seeing more from this--a Copernicus or Nautilus-X would be so fun to fly! Love this mod and highly looking forward to the Copernicus and Nautilus too! Thanks guys! I have some more work to do on Pathfinder before it goes on autopilot for a bit and some maintenance on the CactEye, then I can focus once again on DSEV. I have some ideas on the Copernicus, including a new engine. ITS OUT WOOT!!!!! I have been stalking your mod for forever now. I can't get the rotating hub to rotate for some reason ? I installed it ok, but I can't unlock the Experimental Fusion parts on the tech tree because of "Nanolathing". I can't find this group on my tech grid, and everything else is unlocked. Be sure to download from the github repro. Many users report issues installing from CKAN. Right. The hub requires Infernal Robotics to function properly. Any tips on counter-rotation balancing for the hub part? I'm using counterweights to account for the weight of the spinning parts but am still getting a slight rotation of the ship as a whole. I have three arms rotating on the hub, each weighing 3.1t. 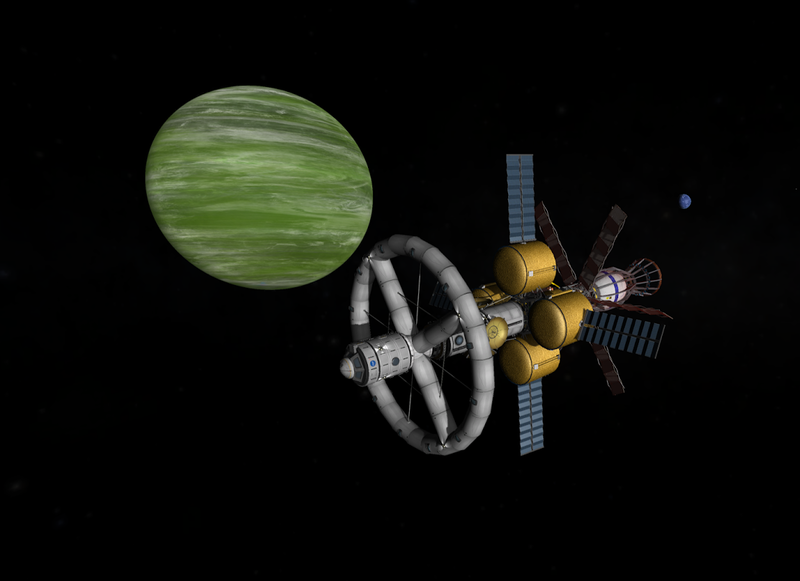 I attached three 3.1t weights to the counter-rotating hub, but the ship is still slowly rotating. Perhaps I'm doing something wrong? Hi Angel-125! I love this mod, and I want to say thank you for you work! So here is my question: is there a chance for release with more structured part files, like part defined folders or so? And, if not, can you at least tell what exactly files in modfolder do actually needed for ArcJet RCS and rotating hub? Hm... Nanolathing should be one of the stock construction nodes. In fact, in .90 at least, it was at the top end. I'll take a look and see what's going on, it should be there. There is a part called a Masscon, named after the mass concentrations found on the Moon. If you have Kerbal Engineer Extended, you can right-click on each part of your hub to determine its mass, and sum up all the parts on the hub. Then using the counter-spin hub, attach a couple of masscons to the counter-spin hub where it says "No Attach." Finally, right-click on a masscon to enter the amount of mass it contains. If you set it to half the mass on the hub, you should be about to counter the spin on the hub. The masscon is smart enough to update its symmetrical part. You might need to play with the spin rates on the hub versus the counter-spin hub in order to account for angular momentum. The Spindle's SAS unit should be able to counter the rest. I do have a part planned that won't require Infernal Robotics, but it'll be awhile before I can build it properly. Great question. Near Future Technologies is a great mod, I'm inspired by Nertea's quality. My mods often use shared textures to conserve memory, so I tend to jumble the part configurations and textures into the same directory. I do want to make things better grouped, so I can look into how to separate things out. I know I can set a texture entry in the MODEL node, though I had some challenges with that approach in the past. It might be as simple as making sure that the textures get loaded first... What I'll try to do is break things up into stuff like HexTrusses, LargeFuelTanks, and so on. It may take me a bit to separate things out. Meanwhile, there is something you can do to help reduce clutter. In the DSEV folder, you'll find the MM_HideHexTrusses.txt file. I created it specifically for people who prefer Nert's octo-trusses. Anyway, try renaming MM_HideHexTrusses.txt to MM_HideHexTrusses.cfg, and see if that helps. And thanks for showcasing your vessels, they look great. Well, just hiding part in editor didn't save the main problem with RAM. But thx you, I definitely looking forward for future releases. I love seeing everyone's in-game interplanetary space ship designs from DSEV. Angel's example on the first page is awesome, and seeing players design ships ......in the future, we may need to set up a page of 'spaceship selfies' that originate or are inspired by the DSEV mod (with credit to a host of other mods that may be used). This mod is good, but we need better/bigger/more trusses. Current truss only fits <2m cargo and this is just too narrow (e.g. you cant transport decent-sized station modules). Thanks for the feedback. The trusses are designed to fit in the standard 3.75m cargo bays with a pair of heat radiators, so they aren't really designed to hold cargo themselves. But that's where the mid-sized fuel tanks come in. The FLM-1800, 900, and 450 are sized for the hex trusses. The upcoming Copernicus will have larger trusses to transport 2.5m standard sizes. Standard cargo bays are extremely inefficient for interplanetary ships - since they are very heavy, I guess because all that thermal shielding/doors which are not really needed. What the reason of placing tank inside truss? This just added unnecessary mass + extra parts. I find that for long term cargo transport you really need both parts count & dry mass as low as possible - because you will need a lot for actual payloads later (+ add extra for outposts you have to be docking with). Awesome. Glad to see it released. Big fan of fusion engines too, and i've been waiting awhile for a simple to use fusion drive/generator since early KSPI. (Current KSPI-E is a work of love by its creators, but i've been wanting something a bit simpler in practice). If KSP were to ever have an expansion pack, id wish for a near to far future newgame+ with this kind of mod included! Nice work! About to start playing around with it. I'm always interested in Deep Space parts, I think we don't have enough. How about a couple of cool Command pods too? If you look at the NASA Discovery II, it has equipment inside of the truss. One is a tank for fusion pellets, another is a nuclear reactor. DSEV follows along the same lines and includes a few 1.875m tanks, the WB-2 Fusion Reactor, and Compact ISRU. No sense in letting the inside of the truss go to waste. Thanks! Glad you like the mod. Great suggestions. I do have plans for a 3.75m command pod, sort of a kerbal version of the Orion. I've also considered a 3.75m laboratory module that looks like it was built from a fuel tank. 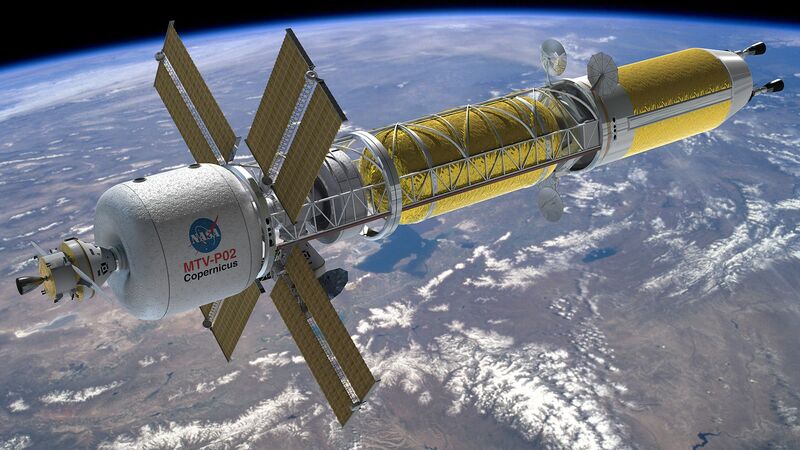 The idea is to use it for Skylab II. I understand that its the case for RL project, but its because their tank is not strong enough structurally on its own - necessitating need to place it inside supporting frame (but their tank itself is very light&thin). KSP tanks are self-supporting, so in KSP if I have a tank, I don't need an extra truss around it - I'd just attach other elements of a structure directly to a tank (e.g. build a "spine" out of tanks). And mass fraction of KSP tanks is pretty bad because of this sturdiness. Not sure how best way to achieve it - maybe by making these insider tanks very light, but with extremely weak joints. Its sole purpose is not to put tanks inside. The hex trusses are there to provide a place for you to attach the heat radiators and to replicate the look of the Discovery II spacecraft. If they don't suit your purposes, you'll be able to remove them. I did some investigations today, and now I remember why separating the parts out into their own directories is a challenge. If I use the "texture =" field to specify where to find the model's texture, some of the models will break and KSP won't load. The good news is that most of the parts use SupportTextures.dds and SupportTextures_NRM.dds. So if you want to, say, delete all the HexTruss parts, simply delete the appropriate .mu and .cfg file, and leave the SupportTextures and SupportTextures_NRM alone. I know that it need Infernal Robotics I just had trouble at first. But whenever I have my rotation hub spinning it also spins the entirety of the ship which is kind of annoying ? Anyways to fix that ? I set the rotation hub like in the video you linked in the original post titled "DSEV Centrufuge"
Have you tried increasing the speed on the counter-rotating hub, and added counterweights equal to the mass of the mass on the hubs?